Woodard Family Farms owner Neil Woodard chats with a customer at the Kendall Yards Night Market. Get to know the people behind your food. 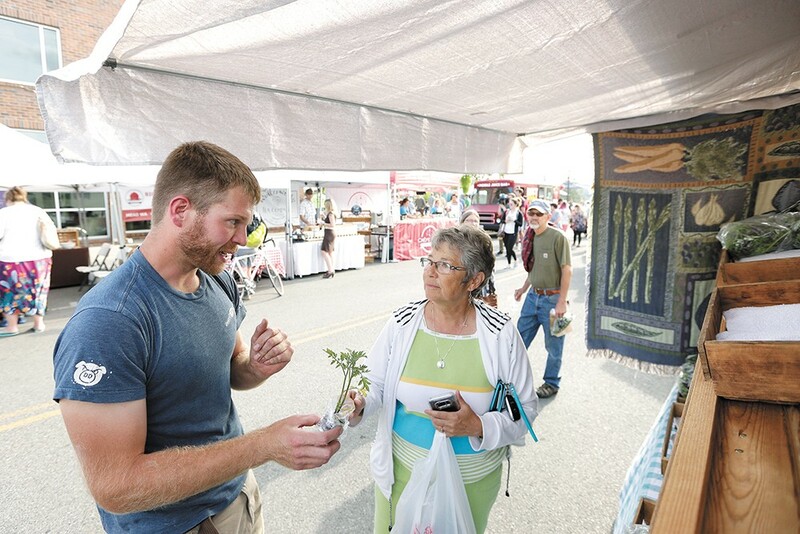 The earth-stained hands that sowed, tended and harvested the fresh, local produce, honey, bread and other food you're putting on your family's table are right here, every week, selling their carefully grown nutrients at farmers markets across the Inland Northwest. Meet six of those producers, including a few traditional small farms and an Old World-style bakery, who've recently signed on to sell at one or more local markets. 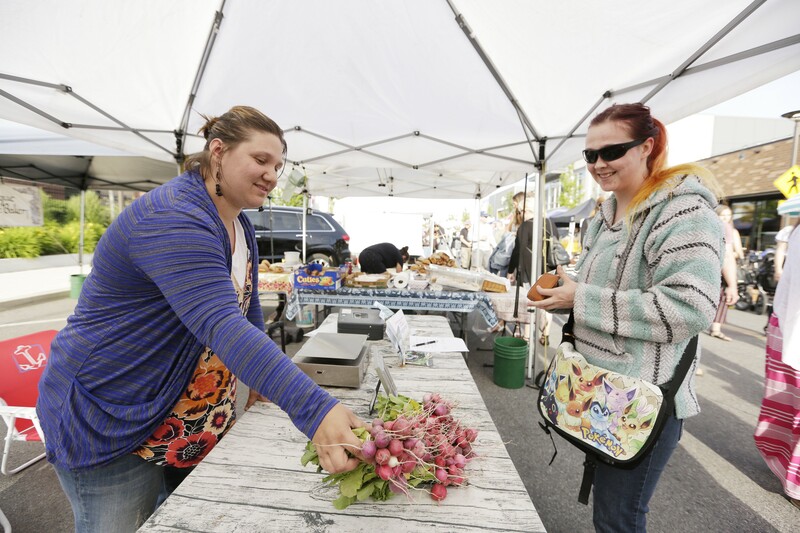 Red Beard co-owner Jessica Kaluza sells radishes to a customer in Kendall Yards. The original print version of this article was headlined "Farm Fresh"